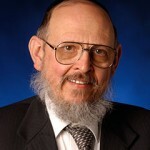 Rabbi Blau earned his Bachelor of Arts degree in 1959 from Yeshiva College, the men’s undergraduate, liberal arts and sciences division of Yeshiva University. He earned a Master’s of Science degree at YU’s Belfer Graduate School of Science in 1960, and was ordained at Yeshiva University’s affiliated Rabbi Isaac Elchanan Theological Seminary (RIETS) in 1961. Rabbi Blau was appointed Mashgiach Ruchani (spiritual guidance counselor) at RIETS in 1977. Rabbi Blau is also the spiritual guidance counselor for students at the University’s undergraduate schools and colleges for men. 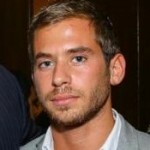 Meyer Seewald was born and raised in the Chabad community of Crown Heights, Brooklyn. Two experiences of sexual abuse during Meyer’s youth and his best friend Benny passing away in his arms at age 16 shaped his adult life and have had a lasting impact and determined his life mission. In 2011 Meyer found out that Benny’s father was using the program for at-risk youth that he had created in memory of his son to groom and molest teens. As Meyer began to investigate he found accusations of molestation and cover ups by this man spanning back almost two decades in multiple countries by the leadership in his community. After an arrest was made and as a result, Meyer set up a website to expose him and warn the community. Over the next few days, hundreds of reports of abuse began flooding in to the website from young people in Jewish communities around the world, asking Meyer to help them expose the person that had abused them. Jewish Community Watch slowly grew from Meyer and some friends working out of a bedroom to an international organization with offices in three locations, with departments dedicated to raising awareness, victim’s services, and investigations. In 2016 Meyer got married and took a step back from JCW, remaining on the board of directors. In January 2017 after a tumultuous change in leadership in the organization, Meyer returned to his role of executive director. Meyer continues to be committed to working with the organization’s skilled and dedicated staff and to building JCW to be the strongest and best support for victims that it can be. Meyer currently resides in Miami with his wife and child. Mr. Seidman received his Bachelor degree in Accounting from the University of Florida, Gainesville, and his MBA from Nova South Eastern University in Davie, Florida. 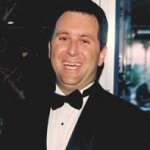 Mr Seidman is a California CPA and is also an IRS Enrolled Agent. For over 30 years Mr. Seidman has held senior positions at leading manufacturing companies including, Vice President of Finance and Administration, Chief Financial Officer and Controller. Mr. Seidman also maintains a small tax practice.